Hoobastank is an American rock band which formed in 1994 in Agoura Hills, California. At the start the line-up consisted of vocalist Doug Robb, guitarist Dan Estrin, drummer Chris Hesse and original bassist Markku Lappalainen. According to Chris, Doug had known Dan for a while before competing against him in a high school battle of the bands competition. Subsequently they decided to form a band by recruiting Markku and Chris to form Hoobastank. Hoobastank started playing gigs at local venue, Cobalt Cafe along with Incubus and others. The band recorded their first full-length self-released album in 1998 strangely titled They Sure Don’t Make Basketball Shorts Like They Used To. The album featured a unique saxophone section headed by Jeremy Wasser. 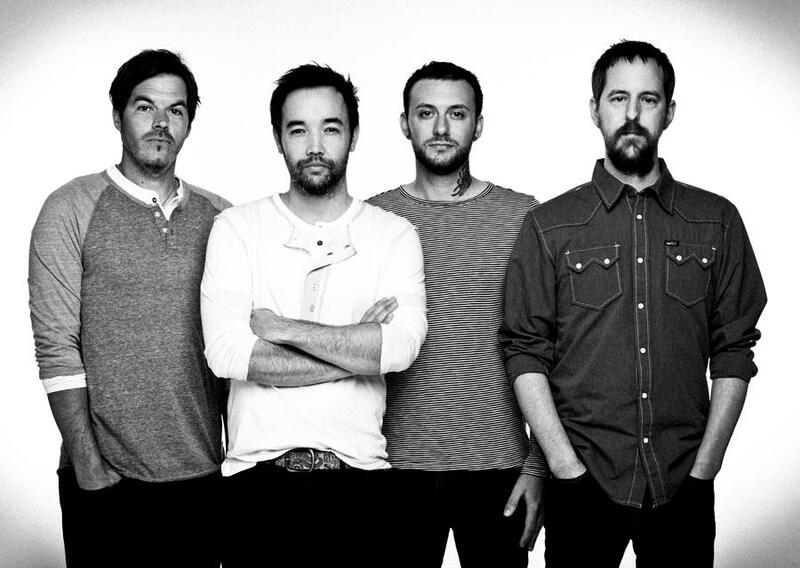 At this point, Hoobastank had developed a strong reputation in Southern California which attracted interest from Island Records who signed the band in 2000. At the time of signing, the band had already completed a second full-length album titled “Forward” featuring Jeremy Wasser. However Island Records execs felt that the direction they were heading in would sound better without the sax, so Jeremy left the band and the album was delayed. A few tracks were re-recorded for release on the band’s self-titled 2001 release. Their self-titled album was released in November of 2001. The first single off the album was “Crawling In The Dark” which became a breakthrough hit reaching No 68 on the Billboard Hot 100 Chart, Number 3 on the Modern Rock Chart, Number 7 on the Mainstream Rock Chart and Number 1 on an MP3.com download chart in early 2002. The song featured in the 2002 inline skating game, Aggressive Inline on the Xbox, Playstation 2, Playstation and GameCube consoles. The second single “Running Away” was an even bigger hit reaching Number 44 on the Billboard Hot 100 Chart, Number 2 on the Modern Rock Chart, Number 9 on the Mainstream Rock Chart and Number 3 on the MP3.com download chart. 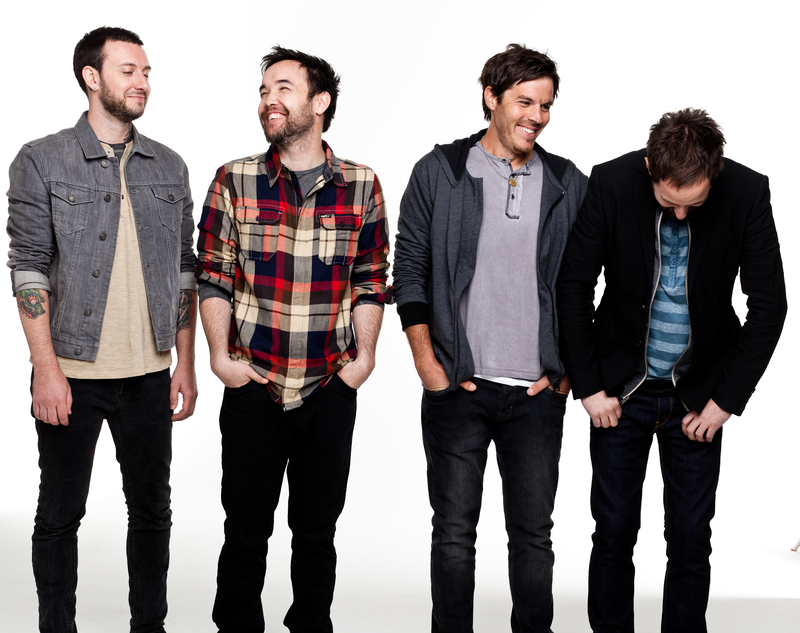 The Hoobastank album went Platinum and reached Number 25 on the Billboard 200 chart and Number 1 on the Billboard Heatseeker chart. The album received international recognition and the band toured in support of the album through Europe and Asia. The third single from the album “Remember Me” achieved moderate success reaching Number 23 on the Modern Rock Charts. “Losing Grip” is a song which the band created for the soundtrack of the movie The Scorpion King. In 2003 the band contributed a song named “Right Before Your Eyes” to the Daredevil soundtrack. The band entered the studio with producer Howard Benson. Recording was interrupted for a month when Dan Estrin was seriously injured following a minibike incident in August. Dan had recovered by October and the band performed at the Nokia Unwired Tour with the All-American Rejects and Ozomatli in November. The band’s name originated when Doug was still very young, his brother was the vice president of BMW Motorcycles in Germany and the street’s name in which he lived was called Hooba Street and before Doug could pronounce it he used to call it Hoobastank. His brother still teases him about it. When the band was trying to come up with a name, it was really difficult to come up with a name that hasn’t already been taken. Someone suggested the name and it stuck. The band’s second album The Reason was released in December 2003. The single “Same Direction” was available for download on the band’s website. ” Same Direction” reached Number 9 on the US Modern Rock Chart, Number 16 on the Mainstream Rock Chart and Number 16 on the composite World Modern Rock chart (based on the US, Germany, Sweden, Finland, Canada, and Australia). A year later the band released a dvd called Let It Out which is a collection of the band’s music videos. The title track was released in the first half of 2004 and it became a massive hit. The song reached number 2 on the Billboard Hot 100, Number 1 on the US and World Modern Rock Charts. The song was also played on the final episode of Friends. In Canada the song set a new record for the most weeks at Number 1 after it spent 21 weeks at the top of the charts. In the US the album reached Number 3 on the Billboard 200 chart. In early 2004, the band’s profile increased when they landed a supporting slot on Linkin Park’s Meteora world tour. Their third album Every Man For Himself released in May 2006 and debuted at Number 12 on the Billboard chart. Three singles off the album “If I Were You”, “Inside Of You” and “Born To Lead” were released. Hoobastank co-headlined a tour in 2005 with Velvet Revolver. The band received a chilly reception from some audiences and rumours of a feud between Doug and Scott Weiland started to surface. On the 2nd of June 2008 Doug Robb posted on the band’s temporary website announcing that the recording process of their upcoming album was almost done and that fans could expect a release date within a couple of weeks. The album For(never) was released on the 27th of January 2009. The first single from the album “My Turn” premiered on radio on the 13th of October 2008. On the 29th of April 2010 a Vanessa Amorosi fan site revelealed details of a collobaration between Hoobastank and the Australian singer, a duet version of The Letter. Later on it was revealed that there was another version of the song between Hoobastank and American-Japanese singer, lyricist, actress and model Anna Tsuchiya. The music video featuring Vanessa Amorosi was shot in Los Angeles at Lacy Street Studio with director Paul Brown. Anna Tsuchiya’s version of the song appears on Hoobastank’s greatest hits album “The Greatest Hits: Don’t Touch My Moustache (Deluxe Edition)“. The best of album The Greatest Hits: Don’t Touch My Moustache was released on the 5th of August 2010 through Universal Records in Japan. The Deluxe Edition’s tracks were selected from their first four albums by their fans on the band’s official record label website. Hoobastank was the support act for Creed on their 2009 reunion tour. 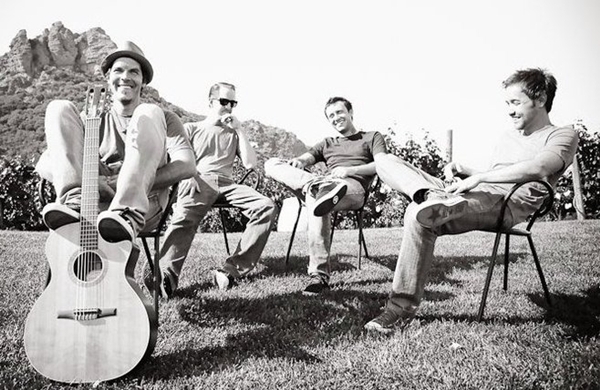 On the 2nd of September 2009, the band announced on Twitter that they were recording an acoustic album. The band covered the song Ghostbusters for Halloween and it was accompanied by a music video on Hoobastank’s Official Youtube Channel. On the 8th of December 2009, the band released the live album Live from the Wiltern exclusively on iTunes. 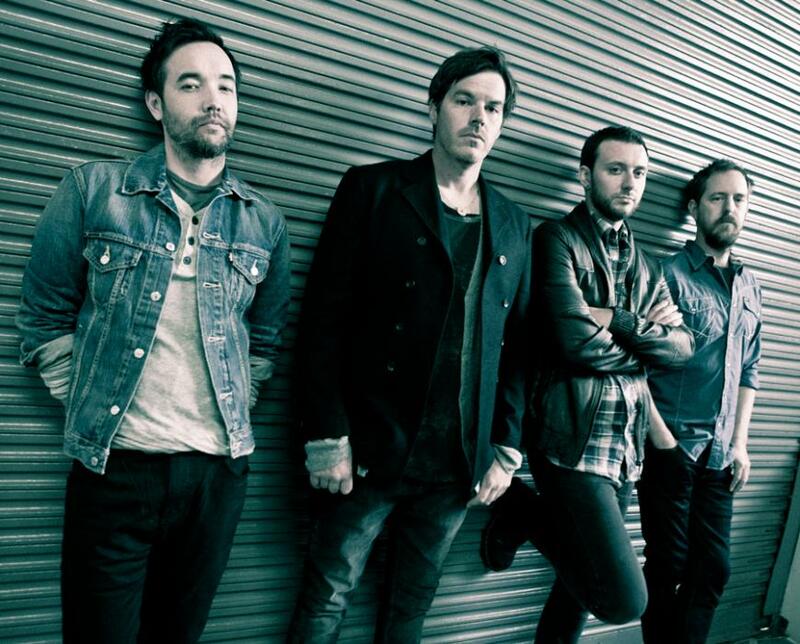 On the 19th of January 2010, Hoobastank released a new song entitled “We Are One” as part of a compilation from Music For Relief in support of the Haiti Earthquake crisis. On the 12th of February 2010, Hoobastank released a new song titled “Never Be Here Again” as part of the Team USA Olympics soundtrack. In May the band announced that they will be performing an acoustic live tour in several places in Japan. They released an acoustic album titled “Is This The Day” on the 4th of August 2010 in Japan. Ending their decade-long connection with Island Records, the band went back to indie status when they released their fifth album on Open E Records. On the 18th of January 2011 Doug Robb provided the vocals for Apocalyptica’s new single titled “Not Strong Enough”. Another version of the song is available which features Brent Smith from Shinedown on vocals. A music video for the song was released which features Brent Smith. In June 2011, the band went on tour in Iraq for the USO Road Tour, performing for the U.S. military throughout the country. On the 5th of April 2012 the band announced the tiitle of their new album via Twitter. The album was titled “Fight or Flight” and on the 3rd of May the band revealed the first single “This Is Gonna Hurt”. The album was released on the 11th of September 2012. I chose to feature Hoobastank this month because I used to listen to their album “The Reason” back when I was in High School and while I was in college. I recently found the album among some other CDs and popped it in the car while my fiance and I went for a drive. It really brought back some great memories and I think all of the songs on that album are really impressive.